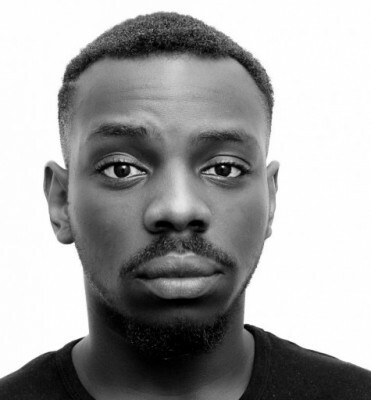 Theatre and Professional Practice graduate Kayode Ewumi is on the radar of leading TV and film producers. 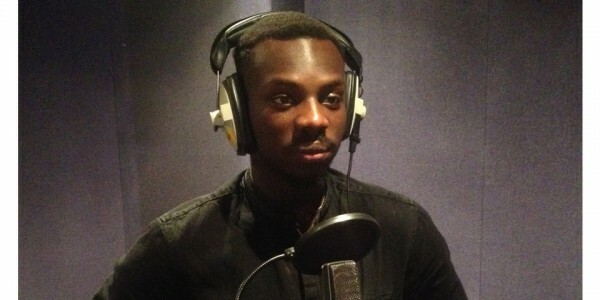 After graduating from Coventry, he became an internet sensation when his spoof documentary film of self-professed ‘hood celeb’ Roll Safe went viral, and led to appearances on BBC Radio 1Xtra’s ‘Fire In The Booth’. ‘Roll Safe’ appeared on a BBC3 show following his latest exploits and his creator played a leading part in a revival of classic 70’s sitcom Are You Being Served? last year. 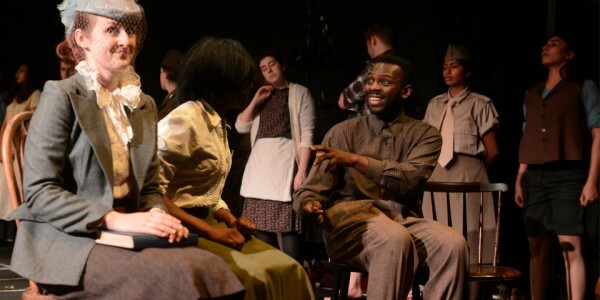 Things are really taking off for Kayode, so student blogger Rhys caught up with him last year to find out about his time at CU and what else is on the horizon. Rhys Lewis (RL): You originally chose journalism? Kayode Ewumi (KE): My heart wasn’t set on journalism. I remember sitting in a lecture room during induction week (next to a cute girl) and saying to myself “why aren’t I on a stage?”. Could I do journalism for three years? Nope! I chose journalism as that’s what I wanted to do then and my older sister went to CU and it seemed quite chilled. On the way out of the lecture room I saw a leaflet on the floor that said ‘Theatre and Professional Practice’ with some cool pictures of people performing (sounds like a movie moment, right?). I auditioned for my theatre lecturers a couple of days later and – boom – the rest is history. 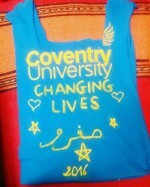 RL: What’s your favourite memory of your time at CU? KE: I hate to be a diva, but I don’t have ‘favourite’ things. A highlight of my time at CU would be when a play I co-wrote and co-directed with by friend Ross Samuel Cooper was put on at the Belgrade Theatre. When we performed the show for the last time and took a bow at the end, I remember standing on that stage thinking “what was I doing in that journalism lecture room in first year?”. RL: You’ve talked elsewhere about the talents of your lecturers Vicky Meager and Glenn Noble. KE: Vicky is a teacher from my college who had a big influence on me and in a way, I was happy I didn’t apply for drama school and went to university instead as she felt that I wasn’t a conventional actor. RL: Would you recommend studying something similar for students who never went to drama or performing arts school? KE: (Adopts the voice of Churchill the dog) OH YES! RL: After leaving university, it must be difficult to get noticed. What did you do and what advice would you give to recent graduates? KE: I decided to use social media to showcase my talent. The internet is there to be used and the traditional way of kick-starting your acting career – like signing up to casting agents, getting black and white headshots, sending CV’s out – is becoming outdated. I think it’s important to get a camera and write your own stuff. Actually, you know what? I wouldn’t even pay attention to what I’m saying here. Everyone has their own specific journey. So I may recommend somethings that worked for me but that’s me, it may not work for others. So find what works for you. If that does mean sending CV’s to agents, getting part-time jobs as a waiter and grinding away then you do it. Have faith in your talent and character, and be nice and smile! RL: I read on your blog that you would like to become an improvisation workshop facilitator. Could you explain a little more? KE: I love improvisation. I’m literally addicted to it. I haven’t quite figured out what the workshop would consist of but, when the time is right, I’ll know. I’d love to be able to get students involved somehow – I’m a strong believer in giving back, so why not use the gift I’ve been given to help others? KE: Hmm. I’ve been cast in the revival of ‘Are You Being Served?’ which will air sometime this year. I’ve also been writing some fresh material with my creative partner Tyrell Williams, as well as, talking to my fellow CU graduate Reynold Maunze about filming some new stuff so there’s lots to look forward to! The internet really is a funny place. 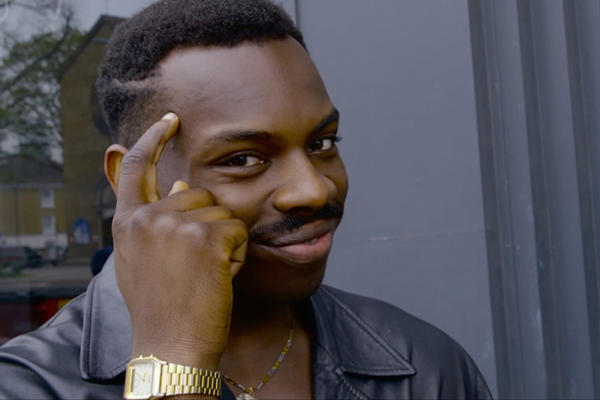 The month is now February 2017 and the man himself, Kayode Ewumi aka Roll Safe, has now been immortalised as a meme across the likes of Instagram and Twitter. A simple still image from his BBC3 programme now flaunts apparent ‘words of wisdom’ but actually ridiculous statements. Enjoy!